The next monthly meeting of Brixton Parish Council will be held on Wednesday 24th April at 7pm. This will be the Annual Parish Meeting. 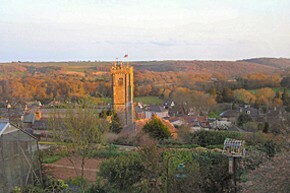 Brixton Parish is the first parish in the South Hams on the A379 on the outskirts of Plymouth and is steeped in history. The landscape of the parish is mainly agricultural and the area to the south of the A379 is an Area of Outstanding Natural Beauty bordered by the River Yealm and Cofflete Creek. There are two main settlements in the parish – Brixton Village and Carrollsland, along with the hamlets of Brixton Torr and Spriddlestone. Building of the new town of Sherford started in 2016. The electorate for Brixton Parish in May 2016 was 1401. Located within Brixton village there is a church, primary school, village shop and post office, pub, fish and chip shop, restaurant and a residential/nursing home. Close to the village is a garden centre, camp site, garage with car sales and small industrial estate. At Carrollsland there is a garage/supermarket and Plymstock Albion Oaks Rugby Club. Brixton Parish is a very active community and full details can be found on the Brixton Village website. For updates and news of what's happening in the village please visit Brixton Village and Facebook to find out more. Brixton Parish Council has a Community Emergency Plan. The Traffic Management Committee meet every quarter to discuss any issues effecting the Parish. Please find information regarding the Sherford development. Ivybridge Recycling Centre opening times and information regarding acceptable materials. For new parishioners there is a Welcome Pack that details all you need to know about living in Brixton Parish. Brixton Parish Council would like to keep all parishioners updated with the production of an annual newsletter and a quarterly news bulletin. South Hams District Council offers a chargeable bulky waste collection to householders for household items that are too big for your normal kerbside collections. You can find what this service can collect, what the charges are and how to arrange a collection on https://www.southhams.gov.uk/article/3272/Bulky-Waste-Collections. The cost of collecting a single item is £18.00 each for example a bed frame and head board would be classed as one item, a bed and mattress as 2 items and a 3 piece suite as a 3 items. Payment must be made in advance using a form on the website. You can also take these items to the recycling centre at Ivybridge for free. If a householder uses a private contractor to remove bulky waste please check that the contractors hold the relevant licence. Further to the attendance at the parish council by Gigaclear, to discuss the installation of broadband, here is the overall map for the individual pots indicated as red dots. Calling all businesses who operate in the Parish of Brixton. Check out this fantastic wooden plaque and accompanying certificate you can be awarded if you simply change 3 of your plastic products to an alternative more sustainable material and provide a plan for moving to other plastic free alternatives. We know that many of you have already ditched plastic straws for paper alternatives, amongst other examples such as providing biodegradable bags instead of plastic. Please get in touch with Joe Parish, our Plastic Free community Leader, if you’d like to get involved or even better if you think you have already achieved this target. Local Elections for all District Council and Town and Parish Council seats will be taking place on Thursday 2 May 2019. The District Council Notice of Election and Parish Council Notice of Election have now been published. Further details can be found on SHDC website. Brixton Parish Council now have an App for your smartphone or tablet. Just visit the App store and download it for FREE. Brixton Parish Council are delighted to announce that they have been awarded the Quality Award under the Local Council Award Scheme.